There are 27 Assisted Living Facilities in the Huntington Station area, with 3 in Huntington Station and 24 nearby. The average cost of assisted living in Huntington Station is $4,065 per month. This is higher than the national median of $3,346. To help you with your search, browse the 274 reviews below for assisted living facilities in Huntington Station. On average, consumers rate assisted living in Huntington Station 4.3 out of 5 stars. Better rated regions include Huntington with an average rating of 4.3 out of 5 stars. Caring.com has helped 6 families in Huntington Station find high-quality senior care. To speak with one of our Family Advisors about assisted living options and costs in Huntington Station, call (855) 863-8283. Promotion ends in 283 days! Huntington Station is a hamlet with the town of Huntington on Long Island just south of Long Island Sound. It's part of the New York metropolitan area and is just 40 miles from Manhattan. Seniors make up 10.8 percent of the population in Huntington Station. These seniors can choose from three assisted living facilities in the city and more than 40 in the surrounding areas. Like in the rest of New York, assisted living in Huntington Station is regulated by the Department of Health, and the communities are called adult care facilities (ACFs) and provide nonmedical room and board for seniors. Huntington Station’s climate is seasonal with warm, humid summers reaching highs of 84 degrees Fahrenheit in July and cold winters with snowfall averaging 24 inches per year, slightly below the U.S. average of 26 inches. Winter temperatures can drop to lows of 25 degrees in January which may cause issues for seniors who enjoy the outdoors. The cost of living in Huntington Station surpasses the U.S. average by 34.7 percent. Housing is the biggest factor in these ratings but seniors find that healthcare, grocery and transportation costs are comparable to national medians. Seniors in Huntington Station can take advantage of state income tax savings since Social Security benefits are exempt from taxation. Income from retirement accounts and private pensions are deductible which can help seniors make the most of their retirement income. Seniors who don’t drive have access to HART buses, which provide transportation exclusively within Huntington. The town also offers Paratransit for seniors at a fixed rate. Suffolk County Transit operates buses that run through town and the surrounding areas with reduced fares for seniors. The Huntington Station area is home to world-class medical facilities including Huntington Hospital, North Shore University Hospital Syosset and Plainview Hospital in the event of medical emergencies or illness. Assisted Living costs in Huntington Station start around $4,065 per month on average, while the nationwide average cost of assisted living is $4,000 per month, according to the latest figures from Genworth’s Cost of Care Survey. It’s important to note that assisted living rates in Huntington Station and the surrounding suburbs can vary widely based on factors such as location, the level of care needed, apartment size and the types of amenities offered at each community. 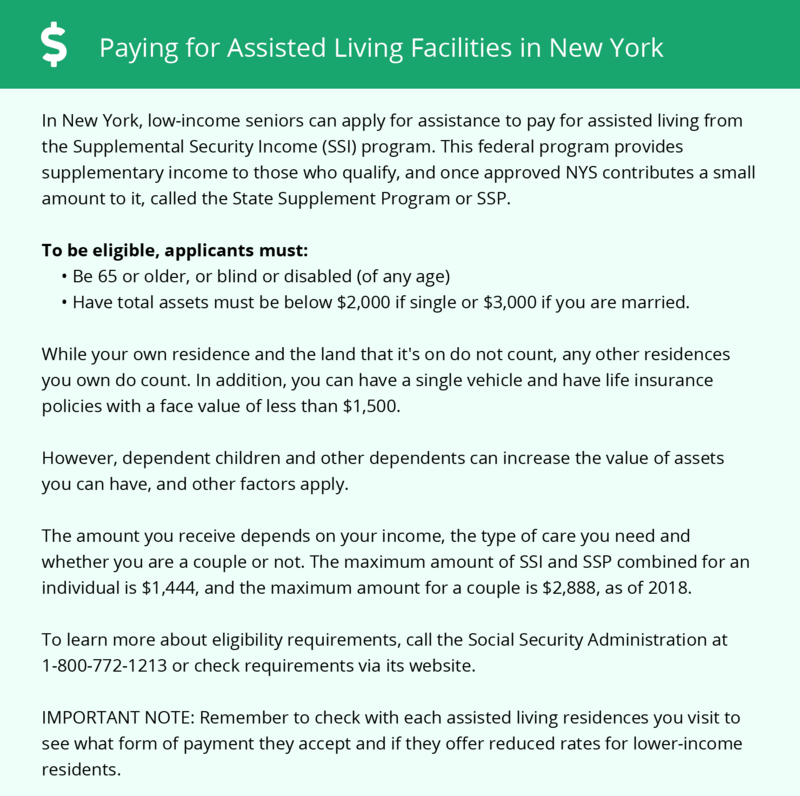 New York state has two government programs that can assist seniors with financial aid for assisted living: Medicaid’s Managed Long Term Care Waiver (MLTC) and the Assisted Living Program (ALP). Huntington Station and the surrounding area are home to numerous government agencies and non-profit organizations offering help for seniors searching for or currently residing in an assisted living community. These organizations can also provide assistance in a number of other eldercare services such as geriatric care management, elder law advice, estate planning, finding home care and health and wellness programs. To see a list of free assisted living resources in Huntington Station, please visit our Assisted Living in New York page. Huntington Station-area assisted living communities must adhere to the comprehensive set of state laws and regulations that all assisted living communities in New York are required to follow. Visit our Assisted Living in New York page for more information about these laws.